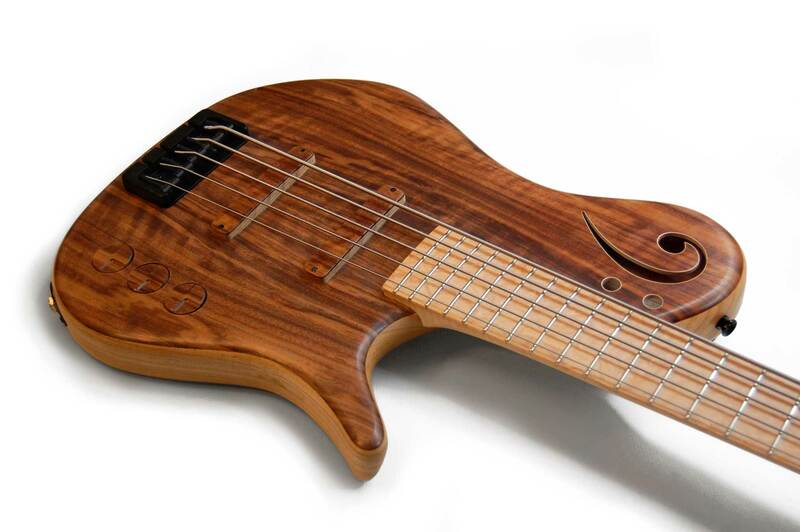 The warm of the wood, the "airy" sound that only semiacoustic instruments can produce and that special "noble" feel that only handmade instruments have: our Proxima De Sensi is surely one of the model we are really proud of, perfectly fitted for jazz, fusion, and all those in-between genres where something more is needed. 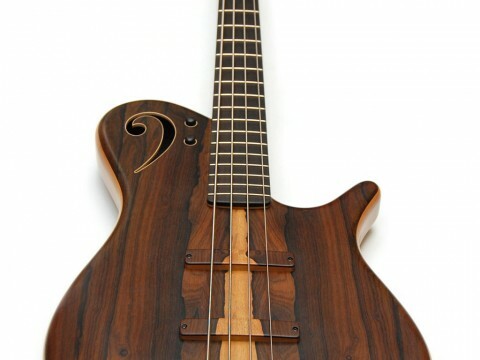 Designed in collaboration with the italian jazz bass player Tonino De Sensi, our semiacoustic bass has seduced our customers not only for his modern and stylish look and shape. 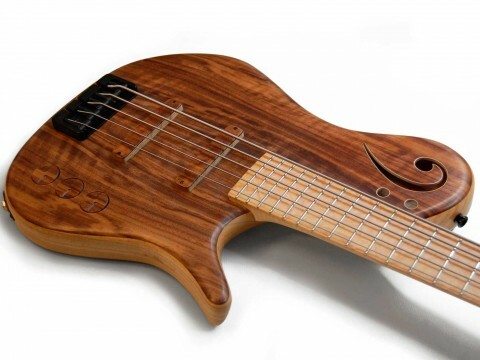 Versatility is the keyword for this bass, able to capture and reproduce all the subtle nuances that a musician can transfer to his instrument. 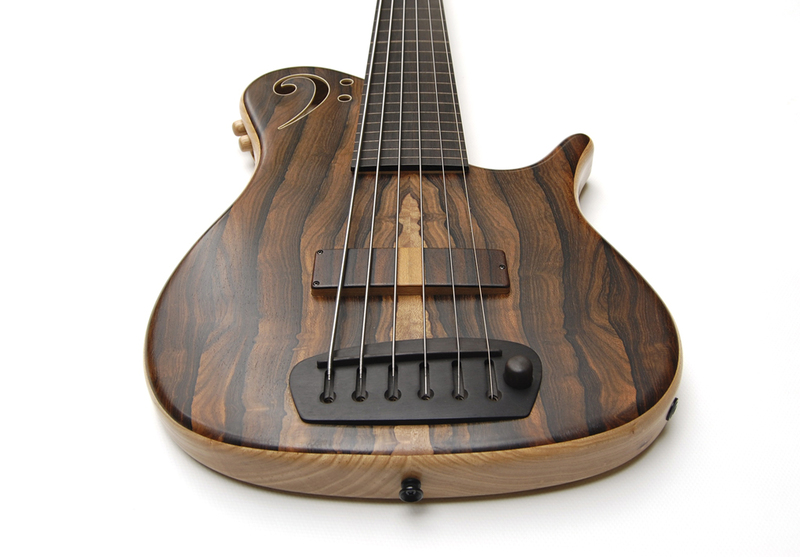 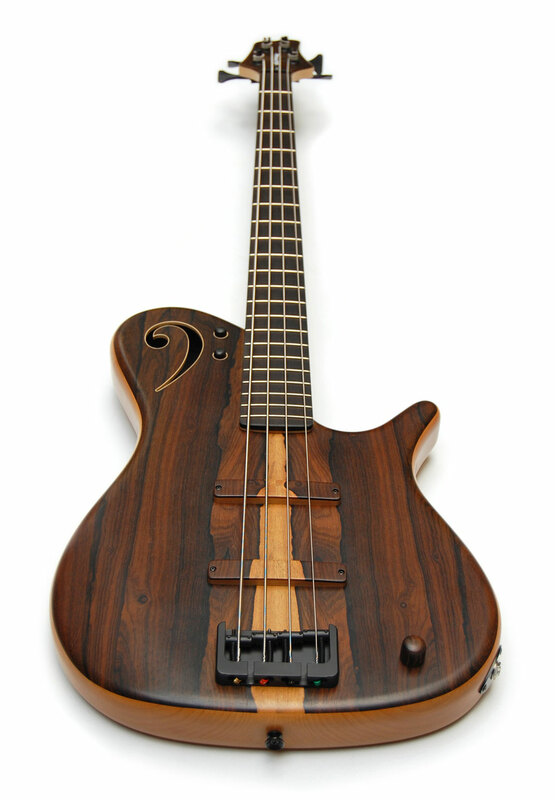 Built as a 4, 5 or 6 string fretless bass, the Proxima De Sensi offers a korina or mahogany body, with tonal chambers, a luxurios ziricote top, maple neck and ebony fretboard. 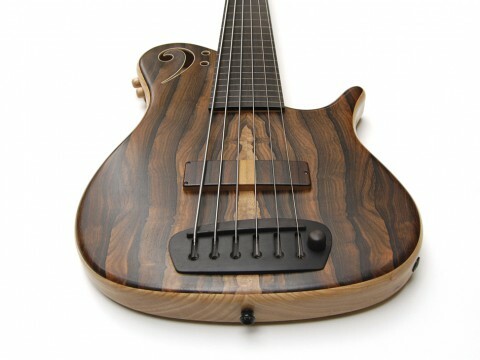 It offers a piezoelectric passive pickup in the bridge and a magnetic Jacaranda pickup: the sounds caputured by those two pickups can be blended to obtain different sounds, from an acoustic almost-double-bass sound to a magnetic full and rich sound. 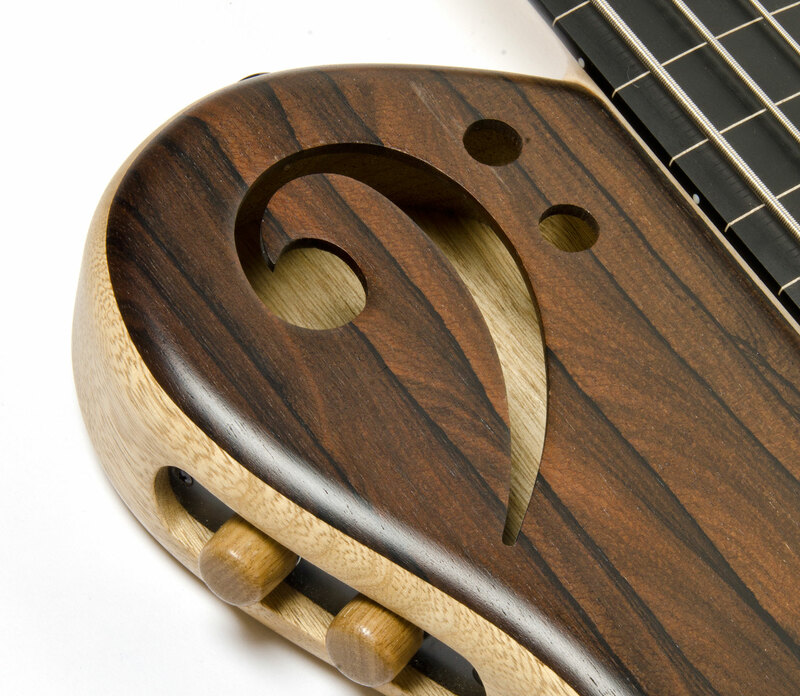 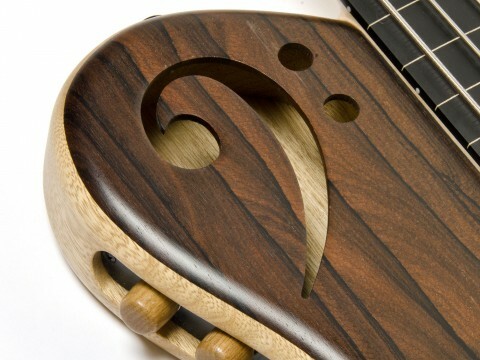 To keep the highly figured top clean, volume and tone controls are housed on the shoulder of the instrument, while the blend control is directly on the bridge.